This month 13 years ago, a young mid-twenties Ashton Kutcher married a much more mature Demi Moore. How’s that for a Throw back Thursday? The marriage lasted for six years, but shortly after the divorce, Kutcher married his long time friend and previous co-star Mila Kunis. Welcome to the next edition of our Celebrity Engagement Style series. We’ve covered Prince Harry and Meaghan Markle, Tom and Gisele, and Kim and Kanye to name a few. Every proposal was different, but a spectacular, custom designed engagement ring was the constant. 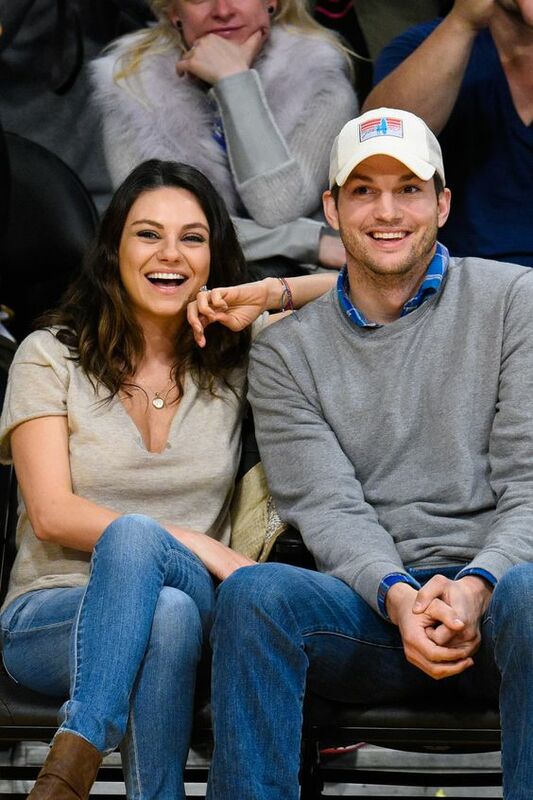 Today we’re covering the story of how Ashton and Mila reconnected and fell in love, as well as why she keeps her engagement ring locked away. It’s hard not to remember Ashton and Mila as the classic, quirky duo they portrayed in That 70’s Show two decades ago. Don’t play like you don’t still catch a rerun every now and then. During the sitcom and after it ended in 2006, there were rumors that the two actually couldn’t stand one another in real life. Marriage and step-fatherhood happened for Kutcher, while Mila lived it up single in the city. Years later, after living two very separate lives, they run into one another at an awards show party- a welcomed surprise for Mila. It was love (or lust) at first site for the two and they quickly started hanging out ‘Friends With Benefits’ style. It was never meant to be anything more than discreet fun, but Kutcher and Mila soon decided to be monogamous, not happy about the thought of the other dating anyone else. The couple has managed to keep details and location of the engagement under wraps, but Mila shared that it was the best day of her life. Completely happy, yet a crying mess at the same time was how she described the experience. The engagement came shortly after a drawn out, two year long divorce from Demi. Sources claimed that Ashton couldn’t wait to pop the question and marry his best friend. He wasted little time after the divorce was finalized in December of 2013. Around Christmas time, sources reported that Ashton had talked with Kunis’s father, asking him for his blessing before proposing. Tradition and respect are non-negotiable for Ashton, making for a swoon worth proposal. Chivalry is not dead in the Kutcher household. They were engaged in February 2014 and married several months later in a private, secret ceremony with just close friends and family. A modest $250,000 five-carat round-cut solitaire Tiffany diamond ring was Ashton’s choice for his bride-to-be at the time. The simple yet striking ring has a band featuring a semi pave inlay. Mila was seen wearing the ring out shopping, at sporting events with the fiancee, and on the red carpet back then. But not long after the wedding she decided to trade her engagement ring for a dainty wedding band she purchased off Etsy for $90. She keeps her pricier engagement ring locked away in a safety deposit box, for fear someone will ‘chop her hand off’ for it, she’s explained to reporters. Kim Kardashian has also opted for a less expensive band after she was robbed in Paris and her original engagement ring was stolen. Ashton and Mila have been married four years and have 2 kids- 3 year old daughter Wyatt and 1 year old son Dimitri. With our prices and selection, there’s no need to keep your engagement ring hidden in storage. Whether your bride-to-be prefers a single solitaire diamond, a more complex design or a thinner band, let us customize the perfect ring set for your proposal.